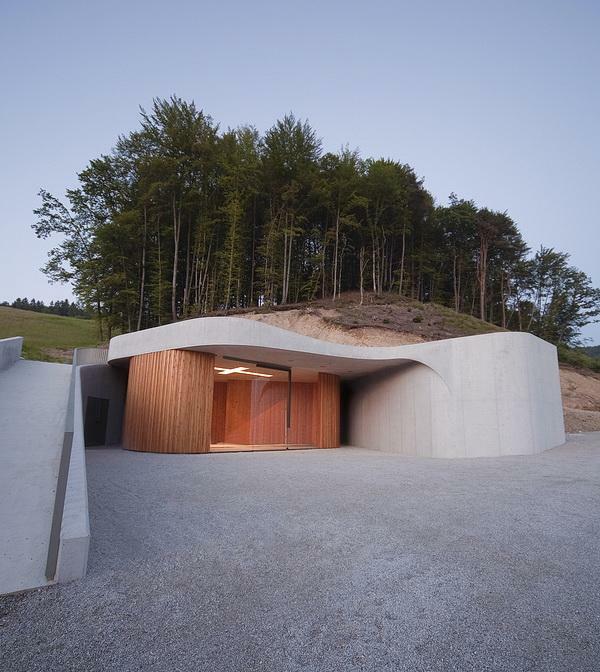 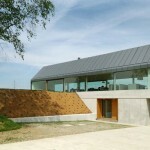 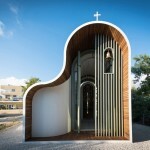 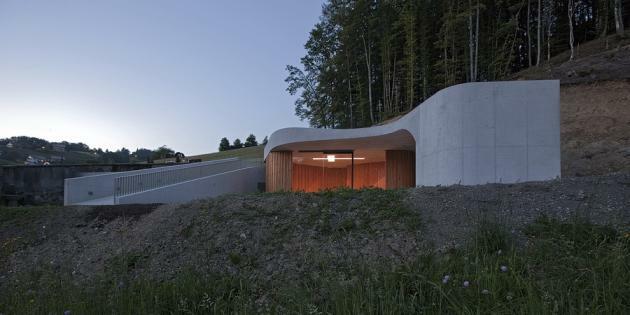 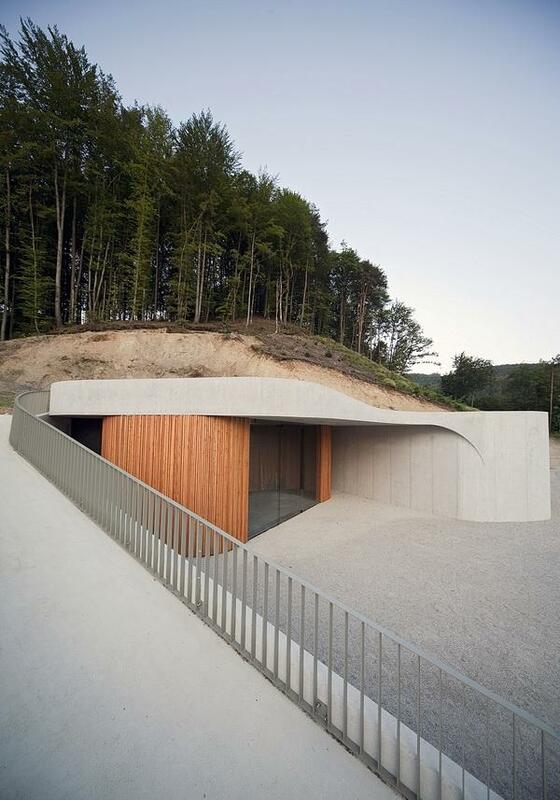 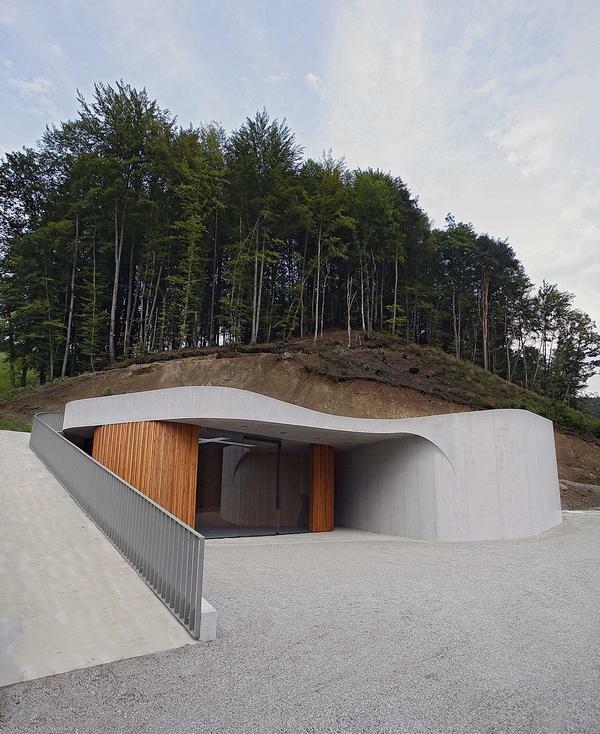 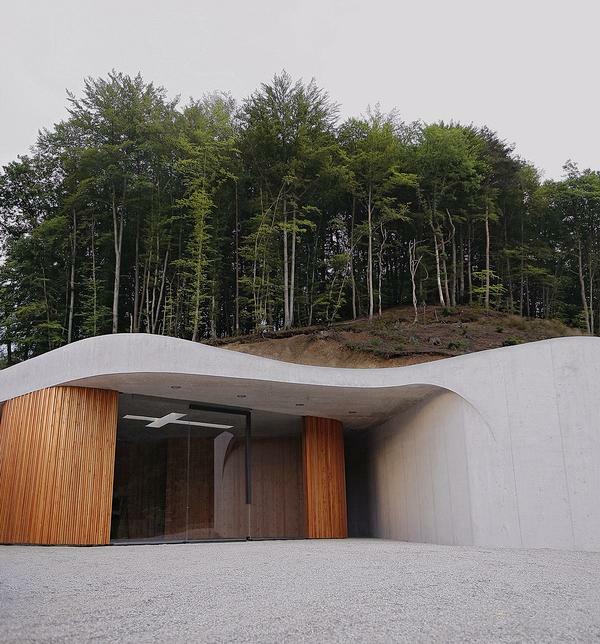 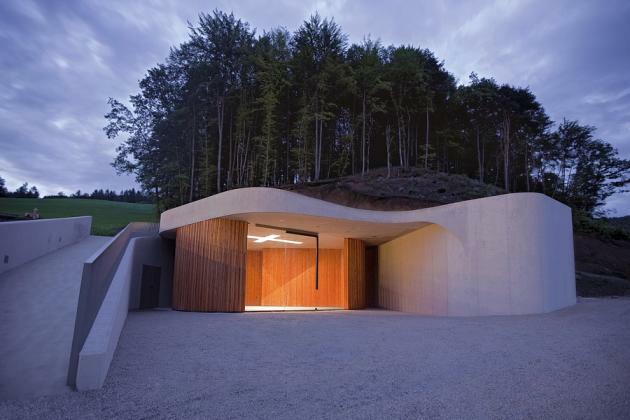 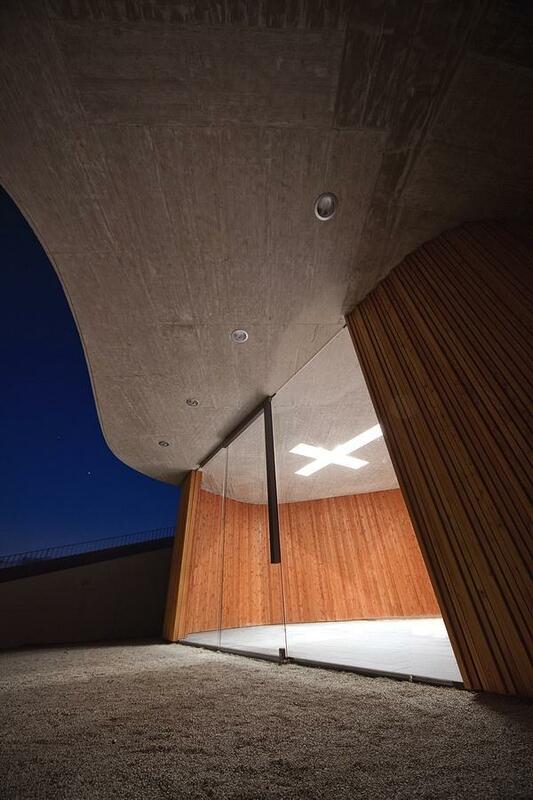 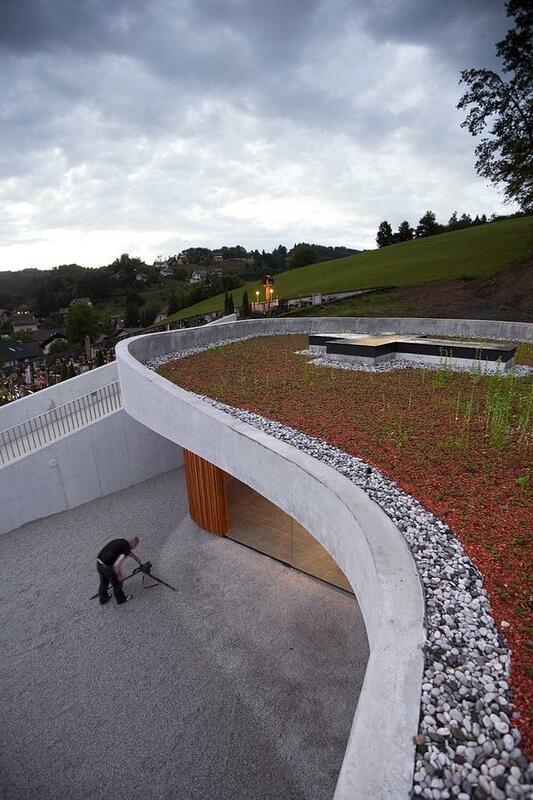 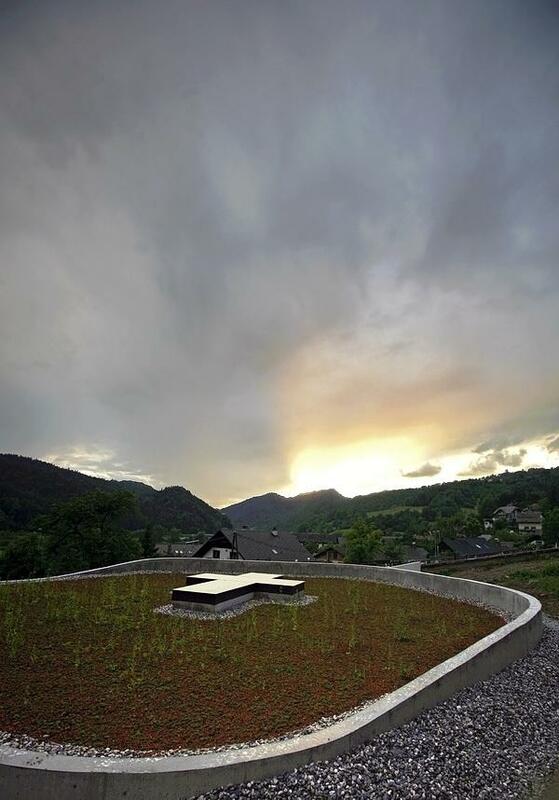 The Slovenian OFIS Architects have completed the Farewell Chapel in a village close to Ljubljana. 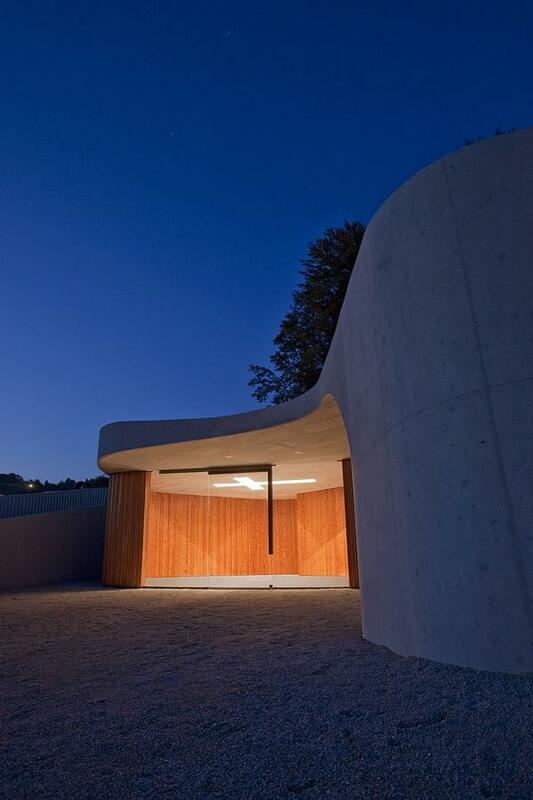 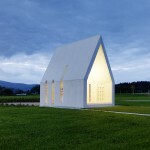 The farewell chapel is located in a village close to the city of Ljubljana, Slovenia. 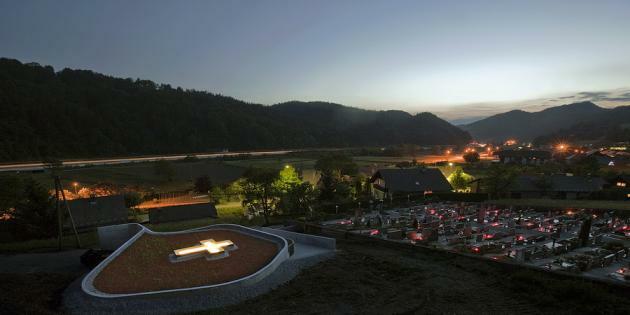 The site plot is next to the existing graveyard. 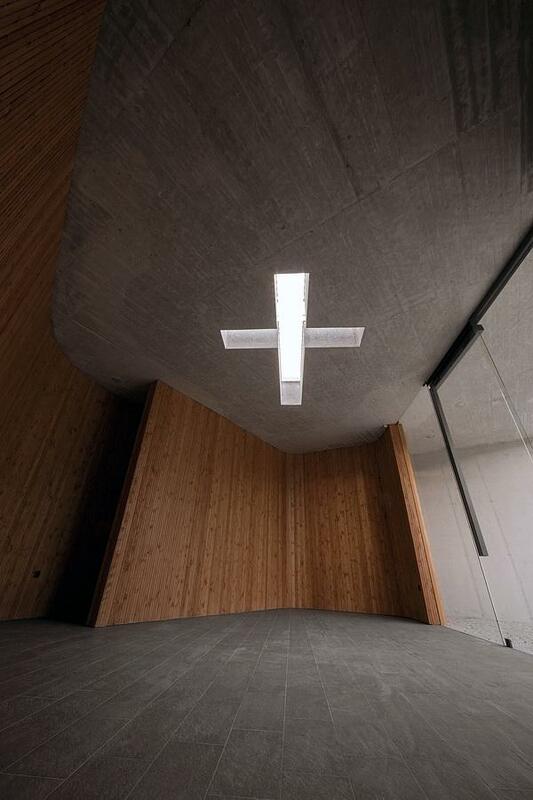 The chapel is cut into the rising landscape. 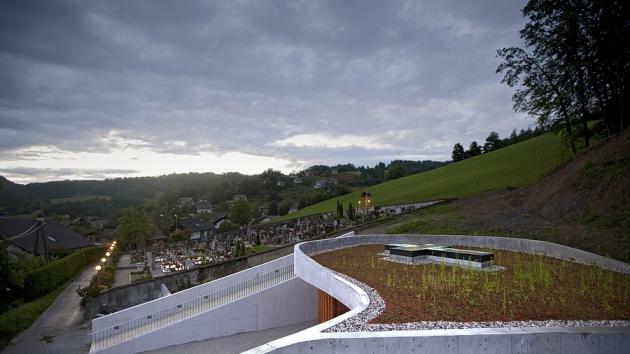 The shape is following the lines of the landscape trajectories around the graveyard. 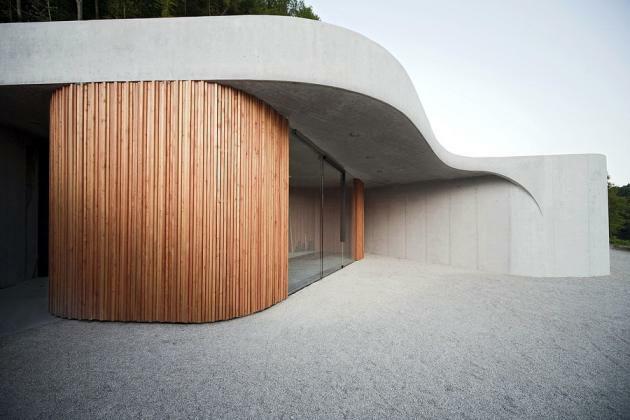 Three curved walls are embracing and dividing the programs. 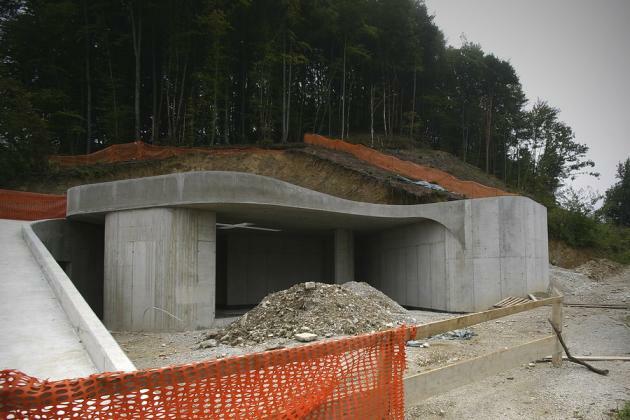 External curve is dividing the surrounding hill from chapel plateau and also reinstates main supporting wall. 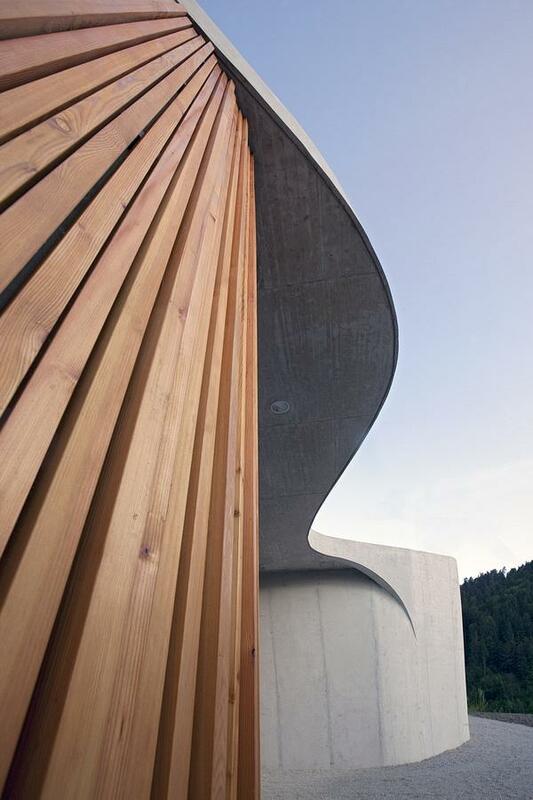 Services such as storages, wardrobe restrooms and kitchenette are on the inner side along the wall. 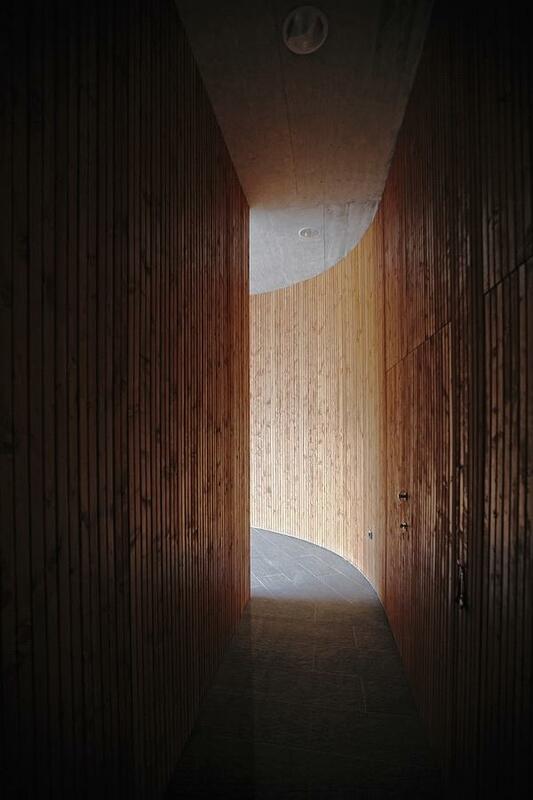 Internal curve is embracing main farewell space. 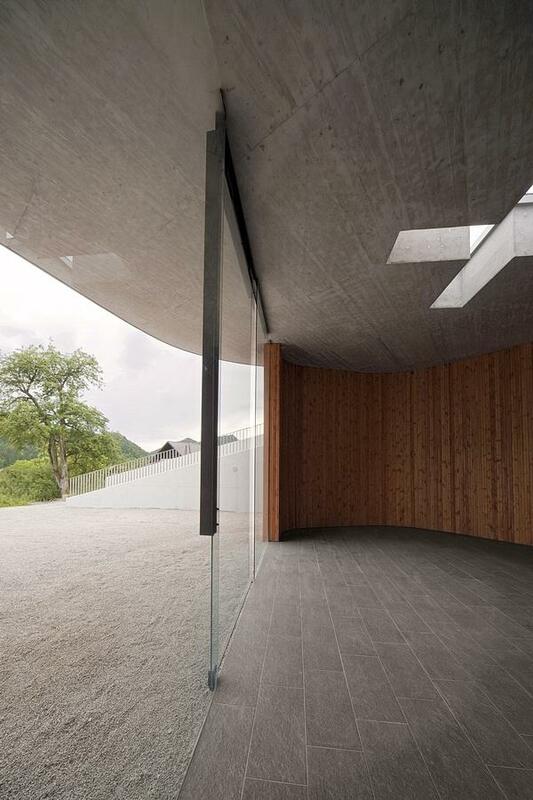 It is partly glazed and it is opening towards outside plateau for summer gatherings. 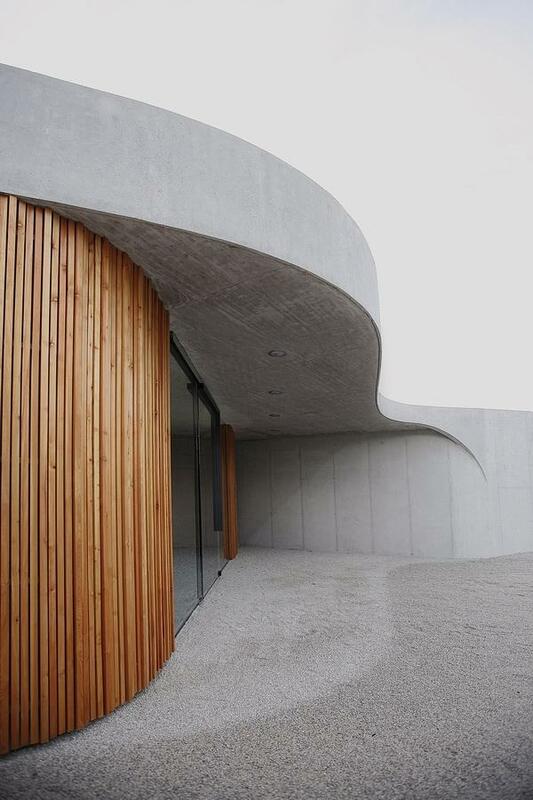 Roof is following its own curvature producing external porch. 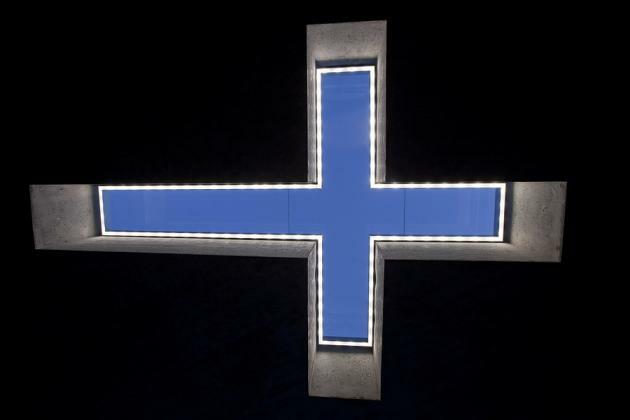 Catholic sign is featured as laying cross positioned on the rooftop above the main farewell space. 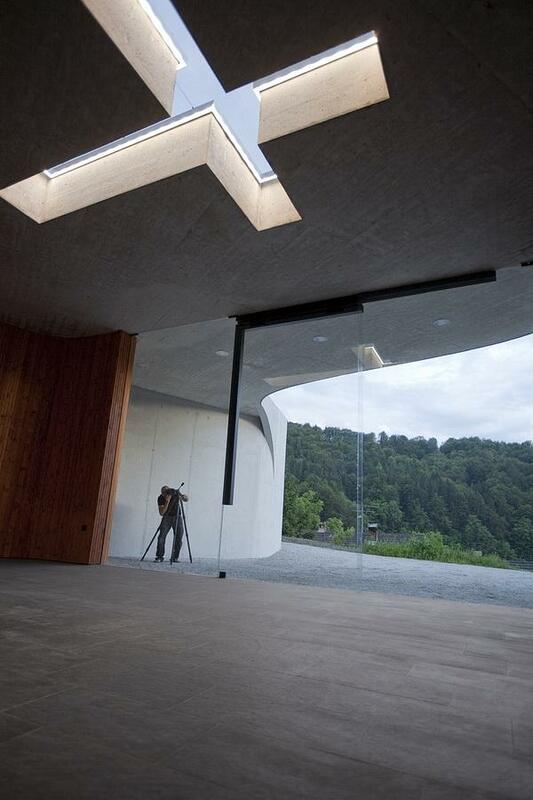 It also functions as luminous dynamic element across the space during the daytime and lighting spark in night time. 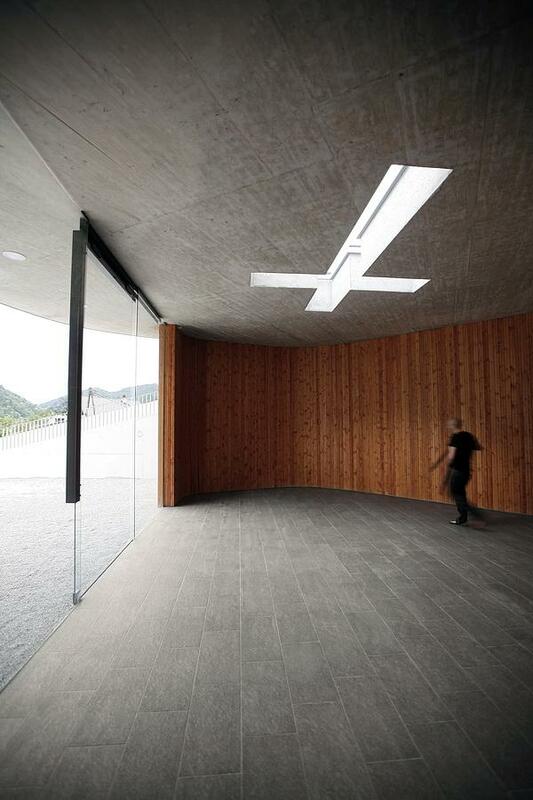 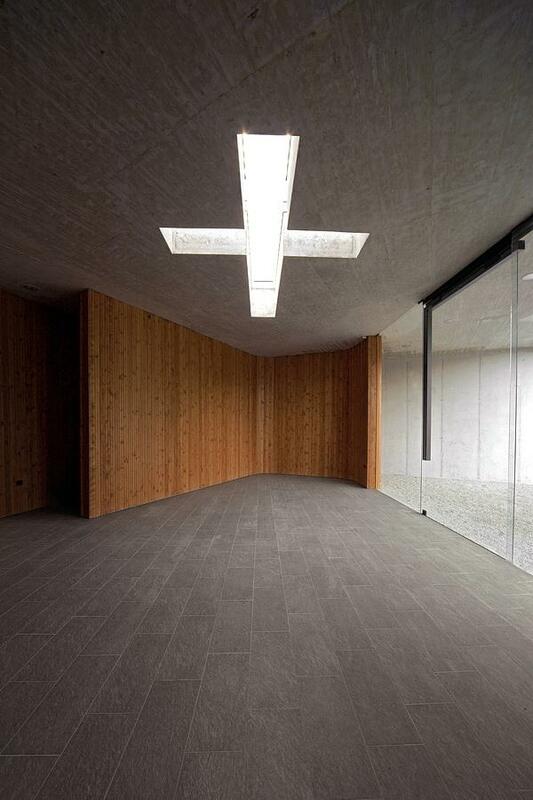 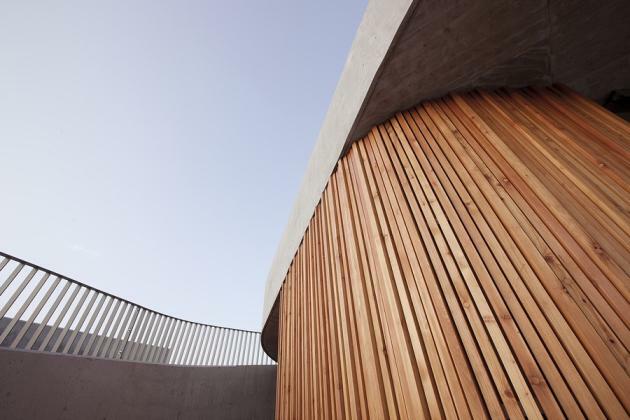 Materials are polished concrete, larch wood, glass. 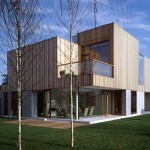 Visit the OFIS Architects website – here.